Front pouch pocket. Rib knit cuffs and waist. Made of 80% cotton and 20% polyester. 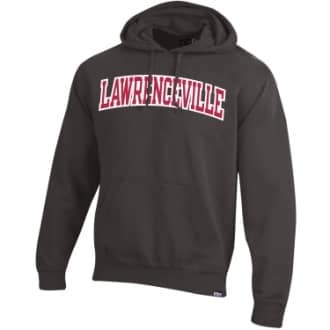 Lawrenceville proudly displayed across front.